١ A demonstrator confronts riot police during a rally in defense of the nationalization of lithium reserves in the country, in Santiago, Chile, Jan. 29, 2018. 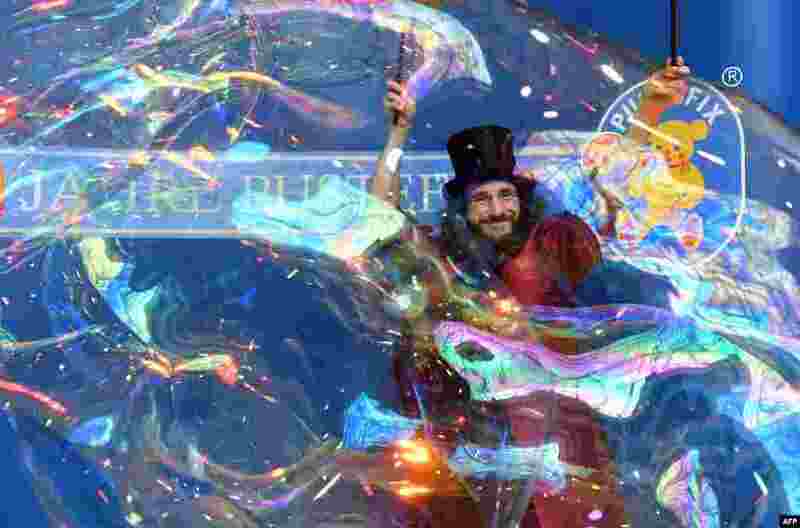 ٢ Soap bubble artist Aramis Gehberger demonstrates his skills during the press preview of the international toys fair Spielwarenmesse in Nuremberg, souhtern Germany. More than 2,900 exhibitors from 68 countries will show their newest products from Jan. 31 until Feb. 4, 2018. 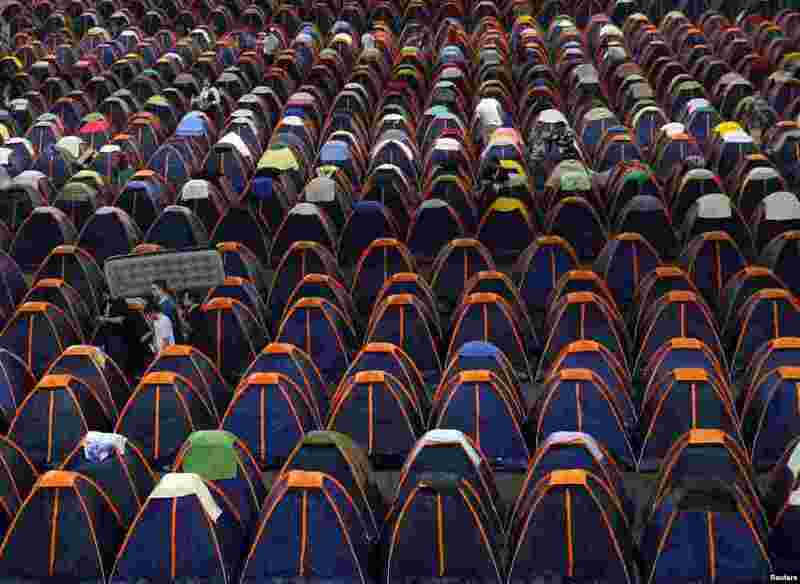 ٣ A man carries an inflatable mattress as he arrives at the camping area of the Campus Party event in Sao Paulo, Brazil. 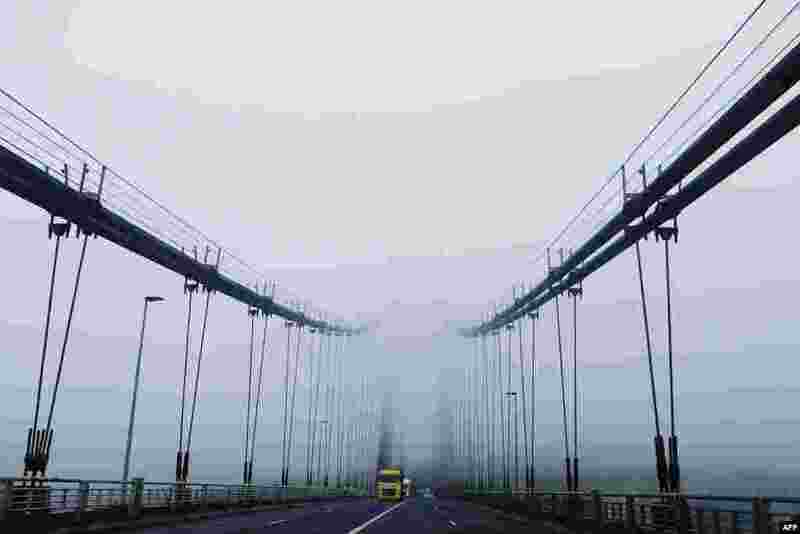 ٤ The Tancarville suspension bridge is seen in heavy for in northwestern France.